Multiple criteria are used to initially determine which applicants' admission will best advance the College of Law's missions of providing a high-quality legal education and preparing students to serve as leaders in their professional and civic communities. Two criteria of importance are undergraduate academic record and performance on the Law School Admissions Test. The Admissions Committee recognizes, however, that there are circumstances in which these numerical criteria do not accurately reflect an applicant's potential and exclusive reliance upon these two factors would then result in an incomplete assessment of an applicant's ability to succeed in the study of law, develop skills as a leader, and enrich the learning experience. Therefore, an admissions policy has been developed to evaluate an applicant's total suitability for admission. Description: An advanced, professional study of legal systems and philosophies in comparative perspective. 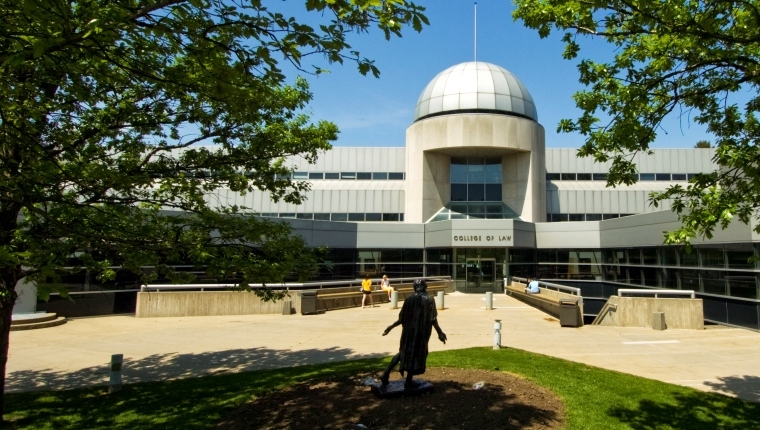 Want more info about The University of Iowa College of Law? Get free advice from education experts and Noodle community members.